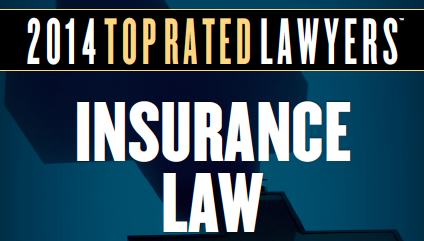 Four Berger Kahn attorneys have been recognized by Martindale-Hubbell and American Lawyer Media as 2014 Southern California “Top Rated Lawyers – Insurance Law” which will feature Managing Partner Craig Simon, Principals David Ezra and Lance LaBelle, and Partner Dale Amato. Berger Kahn has thriving insurance practice areas including Insurance Coverage, Insurance Bad Faith, and Subrogation, a specialty of the firm, with Managing Partner Craig Simon serving as National Subrogation Counsel to a nationwide insurer. The accolades will also be featured in three additional award-winning publications: The American Lawyer, Corporate Counsel and the Los Angeles Times.